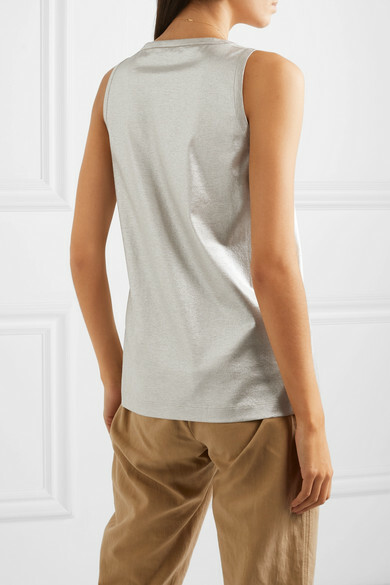 Brunello Cucinelli's tank is the easiest way to add a touch of shimmer to everyday outfits. 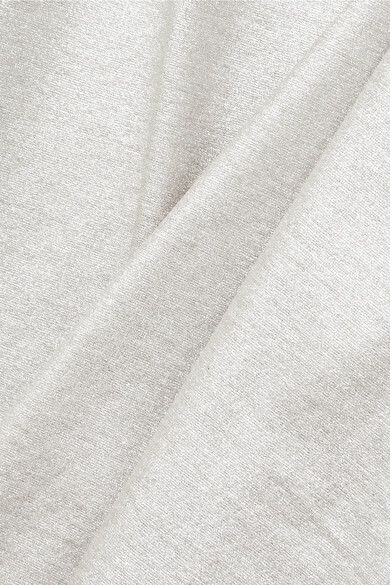 This relaxed style is cut from soft cotton-jersey and has a liquid silver finish. 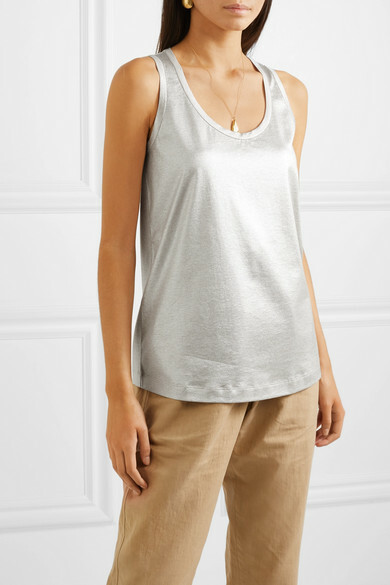 The scoop neck is flattering and gives you the perfect opportunity to show off a few delicate necklaces. 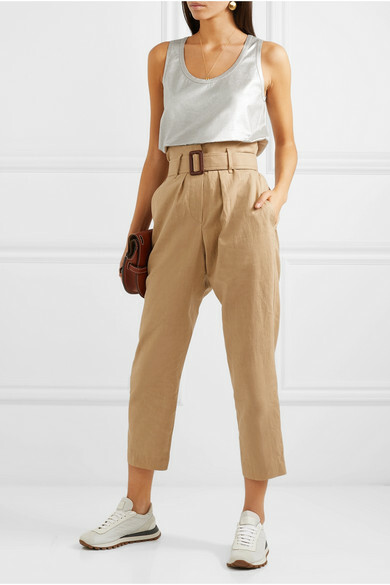 Shown here with: Brunello Cucinelli Pants, Loewe Shoulder bag.